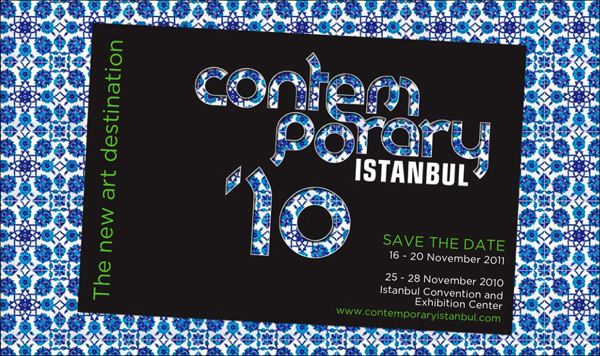 In less than a decade Contemporary Istanbul (CI) has become the premier contemporary art fair in Turkey and the region. With a vocation to become one of the leading global art fairs in the near future CI strives to attract art from all over the world and in particular from its surrounding geography. With 80 galleries and numerous institutions featured in the five day event CI hosts a very diverse audience from all over the globe; in addition to art lovers of all age groups, artists to collectors, academicians to curators, museum directors to writers, critics and members of the international media attend the event. Staged in the Istanbul Convention and Exhibition Center located in a prime central area of the city the fair acquires greater appeal with conferences, performances, concerts and after hour social events programmed throughout the days of the event. In addition to the fair CI stages several events throughout the year such as seminars, workshops and exhibitions. This is in line with its strategy to contribute to the advancement of the arts in the country as well as raising the awareness towards contemporary art of an ever greater constituency. These activities are not limited to Istanbul but are spread out to other cities in the country not to mention to the international arena where CI is present promoting abroad Turkish artists and Istanbul as a new cultural hub. CI’s success is not an isolated phenomenon; it reflects a trend that sees Istanbul fast becoming one of the most important art centers in the world together with other emerging cities. With the Istanbul Biannual and the opening of new museums in the city CI has been one of the major players in strengthening Istanbul’s appeal as a new art destination. The Current year is even more significant since Istanbul is the European Cultural Capital and is therefore attracting greater attention. This year the fair will feature, within its “New Horizons” program a special section devoted to Iranian artists both as well as a section where the Works of Armenian artists will be exhibited. This program will continue in the coming editions focusing on the art of neighboring countries. With its cosmopolitan nature and having become a major cultural hub Istanbul is today a unique destination for artists and art lovers. Its multilayered cultural nature is a source of invaluable inspiration to artists from all over the world Supported by a vibrant local art scene which is underpinned by a booming emerging economy that is conducive to the increase in the number of collectors the city also acts as a new art market in the region. The city’s vocation to become a regional business and financial center has had considerable ripple effects on the art market which is now transforming itself from a local to an international market.